The Police in Borno has said six people died in bomb attacks which occurred early Saturday in Jere local government area of the state. Police spokesman in the state, Victor Isuku said two Boko Haram female suicide bombers detonated IED vests in the outskirts of Alakaramtii village. He added that two other bombers attacked the same area. “At about 0650hrs, two other teenage female suicide bombers infiltrated Alakaramtii village. One of them hurriedly detonated her IED vest killing herself, her partner and an innocent boy while four others including the mother of the innocent boy, sustained injuries,” the statement read. 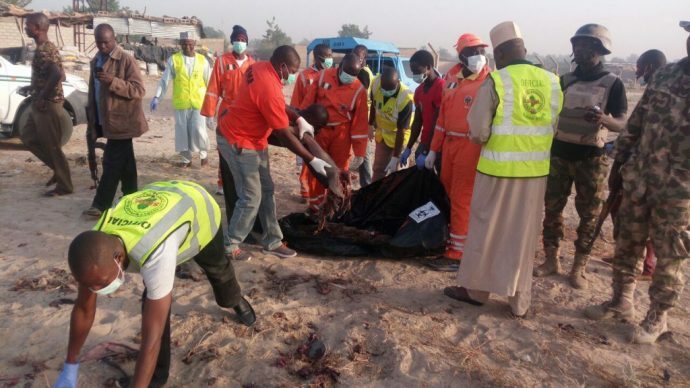 He added that corpses and the injured have since been evacuated to the University of Maiduguri Teaching Hospital. The police has also deactivated the unexploded IEDs. “Normalcy has since been restored to the area,” Isuku said.